For many individuals with autism, routine appointments such as medical, dental and haircuts can be extremely difficult to tolerate. There are many factors that may contribute to this intolerance such as novel environments, novel adults, novel or aversive sounds, bright lights, foreign tastes, painful sensations, sitting for long periods of time and physical touch. As a result, many children with autism display noncompliant or avoidant behavior in response to these stimuli or events. Fortunately, there is a growing body of research published in peer-reviewed journals describing effective strategies to target dental toleration. Several different behavior interventions and programs have been used to increase an individual’s tolerance or proximity to an avoided stimulus or event, such as a dental exam. For example, the use of escape and reward contingent on cooperative dental behavior was shown to be effective for some individuals (Allen & Stokes, 1987; Allen, Loiben, Aleen, & Stanley, 1992). Non-contingent escape, in which the child was given periodic breaks during the dental exam, was also effective in decreasing disruptive behavior (O’Callaghan, Allen, Powell, & Salama, 2006). Other strategies such as using distraction and rewards (Stark et al., 1989), providing opportunities for the individuals to participate in the dental exam (Conyers et al., 2004), and employing systematic desensitization procedures (Altabet, 2002) have been shown to be effective. Most recently, Cuvo, Godard, Huckfeldt, and Demattei (2010) used a combination of interventions including, priming DVD, escape extinction, stimulus fading, distracting stimuli, etc. The board certified behavior analyst overseeing your daughter’s program is likely familiar with these procedures. 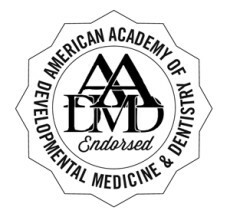 Clinical practice suggests that dental exams can indeed be modified to teach children with autism component skills related to dental exams (Blitz & Britton, 2010). However, a major challenge to implementing such skill-acquisition programs is the reduced opportunities to actually target these skills. One highly effective way to address this is to create a mock dental exam scenario in your home, as it provides opportunities to teach and practice the skills consistently and frequently. These scenarios should emulate, as best as possible, an actual dental office (e.g., similar tools, sounds, light, reclining chair), making it easier for the skills mastered in the mock teaching scenario to generalize to the dental office exam later on. Following is a detailed example of the components involved with creating and implementing a “Cooperates with a dental exam” program. Speak to your family dentist to identify all the components of the exam with which your child will be required to participate in. Based on the dentist’s input, develop a detailed task analysis outlining each step of the dental exam. See sample task analysis provided in the next section below. Take baseline data to determine your child’s ability to cooperate with each step of the exam and to identify skills that need to be taught. For example, baseline data may indicate there is a skill deficit with tolerating novel noises at the dentist and not with the exam itself. In this situation, a specific program for tolerating novel sounds found in the dental office should be introduced. It cannot be overstated that an intervention to address this area would need to be individualized. However, for the purpose of this reply it will be assumed that your daughter presents with difficulty in all, or the majority of the steps involved in a dental exam. Lastly, before starting the program, establish highly-potent reinforcers which your daughter will access for correctly responding within this program, and collect the items that you will need to teach this skill. A comprehensive task analysis for your daughter may include the following steps; however, the behavior analyst overseeing your daughter’s program will be able to develop a more relevant and individualized task analysis based on the baseline data and skills assessment. Please note this program is taught as a chain (i.e., each step builds on the previous step). *Please note that procedures such as flossing would not be suitable for a public school setting. Prior to the next actual dental exam, try to schedule an appointment to bring your daughter with autism to the dental office so that you, or one of your instructors, can do several short practice runs to promote the generalization of mastered skills in the actual setting. Most dental offices will be amenable to booking an appointment, either after hours or when they are not busy, to allow you use of the office and chair. Withholding a highly potent reinforcer(s) that your daughter is able to access only for success in this program and at no other time. Gradually increasing the amount of time that your daughter has to cooperate with a particular procedure. Using a timer to indicate how much time your daughter has left until the exam will end. Modeling the actions that your daughter is to complete (e.g., opening your mouth). In some cases, it may be helpful to allow her to perform some of the actions on an adult. Using shaping strategies by differentially reinforcing close approximations to the target that you are trying to teach. Increasing reinforcement for aspects of the sequence with which your daughter is struggling. Allowing your daughter to watch a preferred movie as a form of distraction during the dental exam. Remove the preferred movie if and when she is engaging in noncompliance or other maladaptive behavior, and allow her to gain access to it again when the behavior has ceased. Teaching children to tolerate all of the noises, the tastes, the touch, and the sensations involved with a dental exam can be very difficult. However, taking the time to teach the skill systematically can prove highly effective and contribute to better oral hygiene! Allen, K.D., Loiben, T., Aleen, S.J., & Stanley, R.T. (1992). Dentist-implemented contingent escape for management of disruptive child behavior. Journal of Applied Behavior Analysis, 25, 629-636. Allen, K. D., & Stokes., T.F. (1987). Use of escape and reward in the management of young children during dental treatment. Journal of Applied Behavior Analysis, 20, 381-390. Altabet, S. (2002). Decreasing dental resistance among individuals with severe and profound mental retardation. Journal of Developmental and Physical Disabilities, 14, 297-305. Blitz, M. & Britton, K. C. (2010). Management of the uncooperative child. Oral and Maxillofacial Surgery Clinics of North America, 22(4), 461-469. Conyers, C., Miltenberger, R. G., Peterson, B., Gubin, A., Jurgens, M., Selders, A., Dickenson, J., & Barenz, R. (2004). An evaluation of in vivo desensitization and video modeling to increase compliance with dental procedures in persons with mental retardation. Journal of Applied Behavior Analysis, 37(2), 233-238. Cuvo, A.J., Godard, A., Huckfeldt, R., & Demattei, R. (2010). Training children with autism spectrum disorders to be compliant with an oral assessment. Research in Autism Spectrum Disorders, 4, 681-696. O’Callaghan, P. M., Allen, K. D., Powell, S., & Salama, F. (2006). The efficacy of noncontingent escape for decreasing children’s disruptive behavior during restorative dental treatment. Journal of Applied Behavior Analysis, 39(2), 161-171. Stark, L. J., Allen, K. D., Hurst, M., Nash, D. A., Rigney, B., & Stokes, T. F. (1989). Distraction: It’s utilization and efficacy with children undergoing dental treatment. Journal of Applied Behavior Analysis, 22, 297-307. Hieminga, J. (2011). Clinical corner: Cooperating with dental exams. Science in Autism Treatment, 8(3), 12-14.